a gravel river bar of the Hoh River with a view of Mount Olympus in the background. 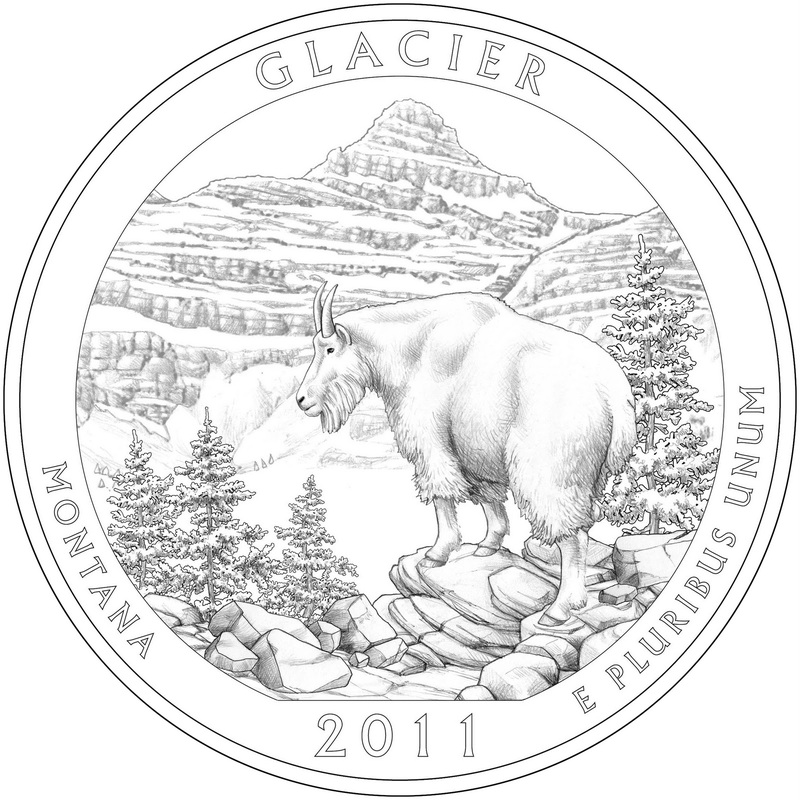 The National Park Service, facing difficult budgetary concerns, is at least getting some love -- if not money -- from the U.S. Mint. 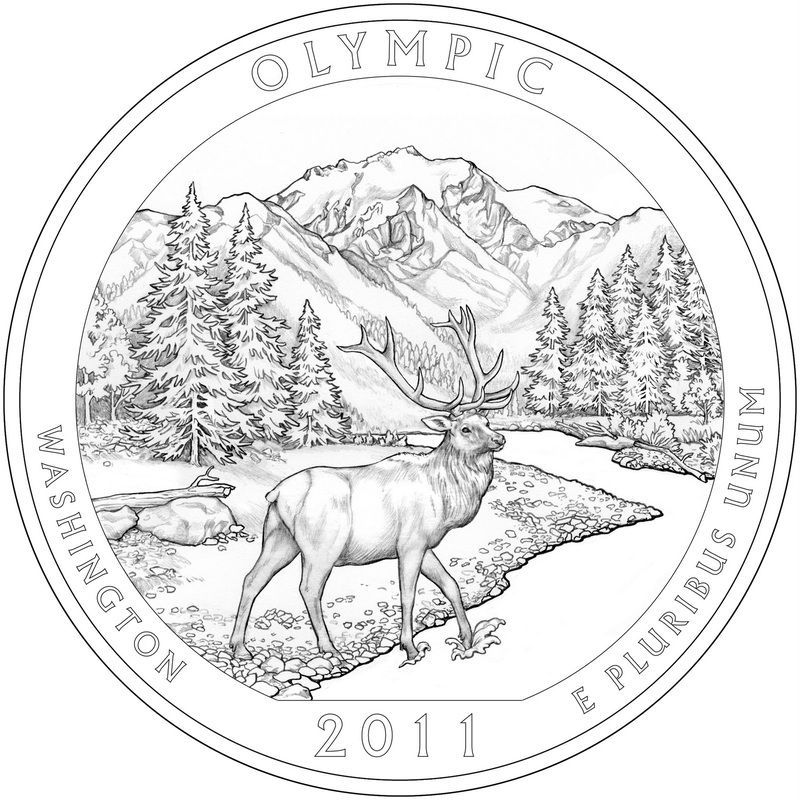 The designs for the second set of coins in the America the Beautiful Quarters Program were announced Wednesday via a press release from the mint in Washington, D.C.
﻿﻿﻿﻿﻿﻿Making the tail’s side of the coin for the 2011 quarters will be Gettysburg National Military Park (Pennsylvania), Glacier National Park (Montana), Olympic National Park (Washington), Vicksburg National Military Park (Mississippi) and Chickasaw National Recreation Area (Oklahoma). Hot Springs National Park (Arkansas), Yellowstone National Park (Wyoming), Yosemite National Park (California), Grand Canyon National Park (Arizona) and Mount Hood National Forest (Oregon). of the park's high country. 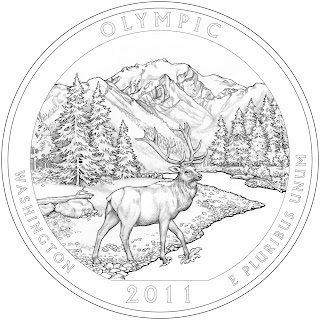 George Washington remains on the flipside for all these classically designed quarters, which came about from the America’s Beautiful National Parks Quarter Dollar Coin Act of 2008. (If only a dollar would stretch as long as that title). Might take you a while to collect them all since the last coin will be released in 2021. 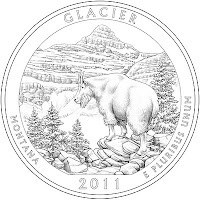 For now, let these National Park quarters help remind you of what Oprah Winfrey essentially told us last month to do, and that’s to go visit a National Park. And then consider donating a few quarters.